How to effectively plan and implement your small move? Small moves still need to be planned in advance and executed efficiently to make sure everything goes right. Moving home usually involves small scale moves that can either involve a house, office or business move. Here are some top tips to help you reduce the stress involved. What's the best way to undertake a small move? Just because you may have a small move please don't underestimate whats involved here! even though it is a small scale move, you still have to arrange everything the same way you would if you had a large house removal to deal with. You would likely not be able to take everything from your present location to the new one. So, take it one room at a time. Go to the first room and decide on what stays and what needs to go. What items should you take? Planning for small moves gives one a good opportunity to reduce clutter and get rid of unneeded items. So, check through the large items in the room and decide on what is cluttering your present home then decide what should not be moved. The items you don't need can be taken to charity shops or taken to the dump. You can even decide to sell off some items or give them to someone else. How to downsize your property? To further reduce costs you will need to determine what can be sold or gotten rid of. Old clothes, toys and other items can be given away or sold to reduce the total number of items that have to be moved. A lot of charities will appreciate the gifts. We undertake small moves in all areas within Manchester, Yorkshire and Humberside. To save money you can contact a firm that specializes in small moves (like us) instead of paying a large service provider that will charge more to move a few pieces of furniture and items with their full-load mover vehicle. Small moving firms can combine various small pickups from different clients on one vehicle to save the cost for all the clients. This way you still get a professional moving service, but at a fraction of the cost. How to choose the right removal firm? Using a full load firm will significantly increase your costs especially for long distances. You will be charged the price for the large truck no matter the size of the load that you move. 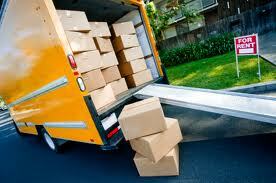 A small moves firm will however only charge you for the items that you want to move. Be sure to get the exact delivery date and quote so that there are no hidden charges.